The seven-piece group – who mix K-pop with hip-hop and RnB – scored the landmark achievement with their latest record Love Yourself: Tear. Performed predominantly in Korean, it is the first primarily foreign-language number one album in over 12 years, Billboard said. 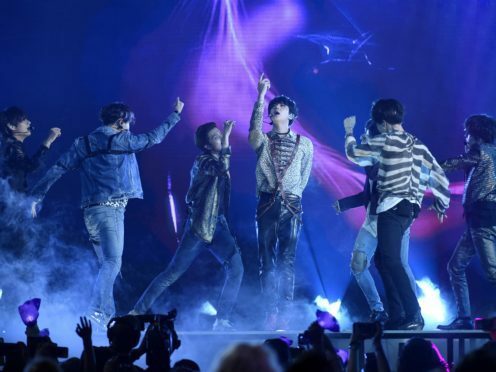 The band performed Fake Love from the album, which was released earlier this month, at the Billboard Music Awards in Las Vegas on May 20. Formed in 2013, BTS are made up of V, Suga, Jin, Jungkook, RM, Jimin and J-Hope. The Billboard charts are based on sales, downloads and streams of albums.